Choose a day and drink appropriate herbal diuretic teas or infusions. Consider the best time of day to take your diuretic tea or infusion. Discuss your experience including why you used the herbs you selected, what dosage you used, and what time or times of day you took it. Be sure to check any contraindications before conducting this practical. Monitor your urine output versus liquid intake the day before your practical, the day of, and the day after. What differences do you see? I have chosen to use Cleaver, Galium aparine and Uva Ursi, Arctostaphylos uva-ursi for my Practical Lab. Recently I noticed my urine was way darker than normal and it's odor over powering. So I decided it wouldn't hurt to do a good flushing of my system. 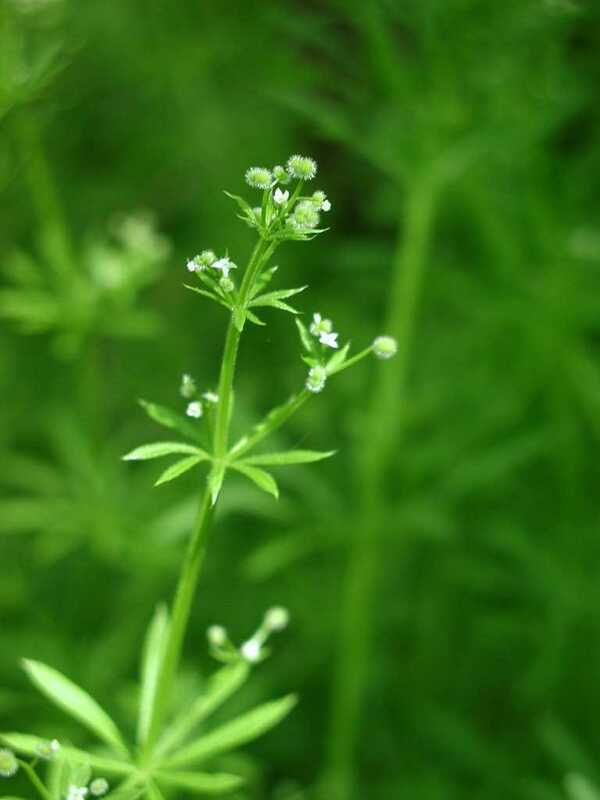 Also Known As: Stickywilly, Common Bedstraw, Goose Grass, Goosegrass, Cleavers, Catchweed Bedstraw, Cleaverwort, Scarthgrass, White Hedge. Part used: All parts accept the roots is used. preventing kidney stones. So over all, cleaver is a great diuretic herb. Contraindications: Cleaver is considered safe for the most part. But due to a lack of scientific data, it's recommended that one uses caution in it's use. Especially if you are pregnant, breastfeeding or diabetic. Also it is a strong astringent due to it's high levels of tannin, so try not to use for long terms as this can actually cause damage to the kidneys.